It’s the Halloween season! And what better way could there be to celebrate the month of maleficent monsters than with a top 5 countdown of modern horror's most ubiquitous villains: ZOMBIES! 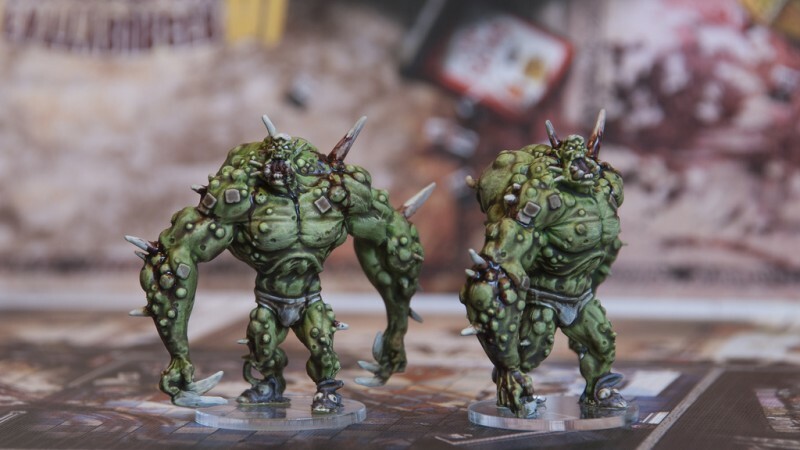 Tabletop Gaming News counts down their top 5 favorite zombie miniatures (in no particular order). Alligators are plenty scary on their own. Add the curse of undeath in both the Night of the Living Dead sense and The Serpent and the Rainbow sense, and you have a creature capable of striking terror throughout the Iron Kingdoms. Did we mention he is also a warlock, wielding both magic and the ability to control warbeasts?!?! Maelok exudes decay with tons of gory details, from exposed ribs to torn musculature. His body is festooned with candles, a possible reference to Voodoo (Vodou) inspiration/influence in his design. It’s a nice touch when one considers the origins of the original zombie myths (Haiti), though the zombie (zombi) plays no part in Voodoo's formal practices. Tiny, fuzzy, and determined to eat your brains, the Zombie Mousling is just horrifyingly cute. A small miniature and a simple sculpt, but painted up, it's a unique character. This little brain muncher will terrify any band of woodland warriors. Any abomination is a terrifying force of mass destruction. Their raw destructive power combined with their incredible durability strikes fear in the hearts of any survivor. What could make a hulking mass of dead flesh, covered in bony spikes, and armed with wicked fangs and claws even more frightful? Try adding tighty-whities and bunny slippers! The juxtaposition of the horrifying and the humorous makes this miniature a zombie to remember. 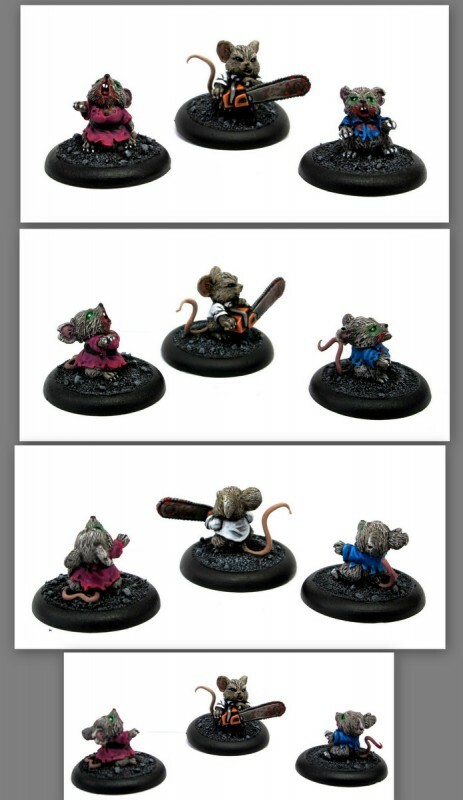 Strange combinations seem to be a theme on this list: The Zombie Mousling is adorable but abhorrent. The Toxic City Mall Abomination blends the mundane with the monstrous. Rotten Belles, in turn, splice the sensual and surreal. They are the freakish undead minions of Seamus, Malifaux’s resident Jack the Ripper/Mad Hatter analog, culled from the local madams to aid in his nefarious plots. Both editions of these living dead girls feature beautifully designed and highly detailed Victorian style garb. The “zombie” effects are subtler here. Rictus grins, torn garments, and twisted gaits are the clues that their perspective “johns” are in for more than they bargained for. Mindless shuffling zombies? Meh. Zombies with wickedly pointed spears, racing toward you at a gallop? Now that’s more like it! Both horses and riders have wonderfully sculpted details, with convincing layers of skin, muscle, and bone. The decaying fleshy bits are off set by the solid surfaces of the weapons and armor plates. Little details like the scavenging crow on one guy's head really set these apart for us. 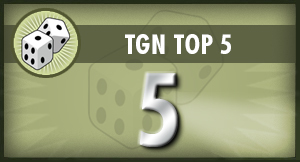 Remember, TGN Top 5s are based on the subjective preferences of our team and may (and likely will) differ from yours. There are a ton of zombie miniatures out there; we’d like to hear about your favorites.